Yep! 😊 But how can you remember?! 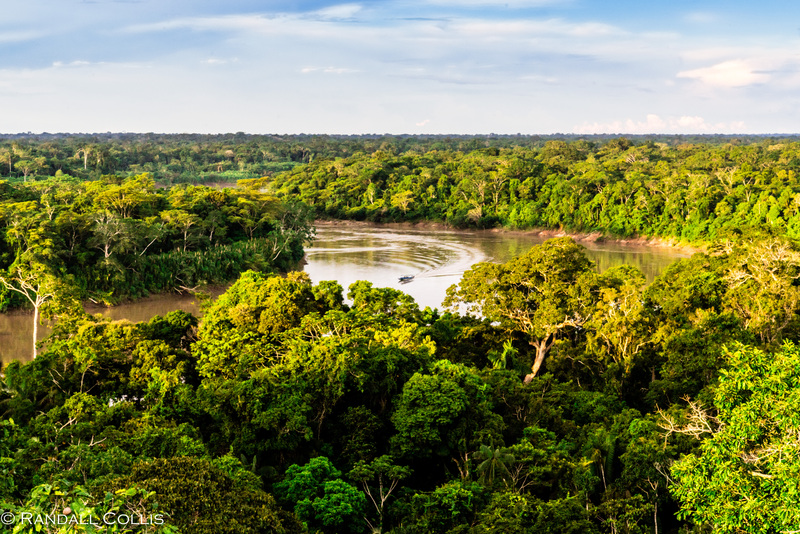 Rendezvous in the Amazon… a perfect idea. Would be great to meet up with you both and share stories of travel and life and, of course, to explore Tres Fronteras a bit. Columbia has long been on my list, I’ve spent a few hours early morning in Bogotá, and the mountains and crisp air…that alone had me wishing to spend more time there. The other destination, El Salvador. One of my friends in Lima just finished traveling to El Salvador and could not stop talking about it… What do you think?!? :–) Thanks to you both, I’m will now be dreaming of these magical places every night. Hmmm, need to check out Iguaçu and Bolivia too! You would like Colombia for sure. Either way. 🙂 One hears about Internet encounters as potentially disappointing. So far I’ve met two bloggers. Both great. Thank you very much, Snow. Peru definitely captured my imagination. Fantastic post. Thank you. I suspect you were “higher up” than I was once. I went to Leticia in Colombia about ten years ago. At the meeting point of Colombia, Brazil and Peru. A unique experience indeed. The ‘Tres Fronteras’ would be incredible to see ~ then again, there is so much magic in these places it would be hard to choose where to go when faced with such options. Columbia and El Salvador are piquing my imagination right now, and I know there will be a return trip to Peru, if not just for the food alone ~ incredible ~ and I figure my Bolivia experience will happen when I visit Lake Titicaca. Peru was a dream, and I figure if I keep dreaming there is a chance I could experience it some day! Cheers, and thank you very much for your great comment and even more important, great inspiration! Pulsing energy – it is how I imagine the rain forest. It has cosmic significance; the vanity and insignificance of our civilization are sadly obvious. If we keep ignoring the Nature, we are doomed. Thank you for your beautiful photography and article, Dalo. You had such a fantastic trip! Oh I imagine you are, after leaving such a place. This is the center where the most important things on this Planet happen – not our cities, like most of humans want to believe. You’re welcome, Randall, and thank you for the kind wishes. Stunning photos Randall, that illustrate just why this is a special place. Of course where we feel that connection and flow will vary for all of us, but I’m glad that you felt such synchronicity with this particular place, and I’m sure that will come with you and you’ll recall it when you need to. Thank you, Andrea, and yes you are absolutely correct ~ everyone has their own connection to the world/universe, and not a better feeling when it is flowing. I suppose to be perfectly enlightened, if you could connect this way everywhere you went… 🙂 Not a bad goal, and will keep me exploring. Wish you a great weekend. Simply amazing photography! Very impressive and it tells the story perfectly. Thank you very much Jean-Jacques. Wish you a great week ahead. Haha! or 2025. God knows. I think it is a matter of taking advantage of opportunities. I met a Penang-based blogger in London once. I was in Paris. I knew she was visiting her brother in London. I had stuff to do in London, so we set up lunch. 🙂 Later saw her again in Penang when we all (entire family) went to Asia late ’17. 2025 works for me too 🙂 Yes, I too think it is best when then come together naturally ~ those are the moments to treasure. Cheers to when those moments come. This would have been the perfect song to have played throughout my Amazon wanderings ~ it is an idyllic place, made so by the local people who took such care of us while we were there (kept me from being bitten by bullet ants, fire ants, and wandering into a small cayman…). 🙂 Wishing you a great day, Mary, thank you very much and take care. Looks like you had a great adventure! I can only imagine what the Amazon felt like in person. Your pictures are amazing. Really like the pics with the birds, the splashes of color. Did you hike to Machu Picchu? 2 people I know said they loved it but the hike was their favorite part. We really can’t wait to go on a hike, it’s been a really long while. We’ll be in Seattle Spring 2020, we’re going to try and meet up with bloggers again. Any chance you’ll be in Seattle? Can’t wait, we’ve been pushing Tofino later and later and finally it’s on the adventure map. Ha, yes the trip to the Amazon definitely required a pretty open mind for adventures 🙂 And I’d love to do it all over again for a new set of adventures/experiences. Cheers to a good weekend ahead! John Trehero, the deceased Shoshone sundance leader, early in his youth learned that the use of a drug (f.e. mushrooms) can be employed to make an adept learn that the borders, within which our brain functions (our perceptive, sensitive and cognitive faculties), are relative and that there is more beyond. This experience can be qite shattering and an “eye”- opener, as f.e. Houston Smith reported. However, other than that, this method doesn’t lead you much further. Reason, why John Trehero decided to go for the sundance way. Thank you very much for the comment, I did a little research on John Trehero because of this and it is a fascinating history. I admire his desire to want every American Indian to learn about the spiritual traditions of their ancestors and the importance of the sundance. In doing so they can keep close the traditional and values of nature while also able to transition into the modern world which have obvious contradictions to their old ways. The similarities of the Amazonian tribes and native American Indian tribes parallel each other. In fact, you will find the same basic challenges facing indigenious people and their religions on every continent of the world. In many cases, however, the old wisdom – since it was conferred orally and only to special chosen members of the respective tribe – was lost due to war impact, diseases wiping out large parts of the population and repressive colonializism or surpression of religion in general (as in China and the former Soviet Union). The revival of the sundance religion could only be succcessful since the wisdom core of it was carefully preserved throughout 100 years of suppression. Tribes in other parts of the world, f.e. in Mexico, have not been able to do so, resulting in obscure practices which do more harm than any good. Very true, and I think this is why other tribes who lost this wisdom have been fortunate to ask other tribes who were able to hold onto this tradition to re-teach them. This is a great thing to see. Hi Randy. I have been to Peru but not to the Amazon. It looks so beautiful (atleast through your photos). I love all the photos with the birds. What waking up with a spider plus web in your bed?! Yes for sure that must be stronger than a coffee, lol. I remember watching (in the UK) a spider crawl under the covers of my bed. It traumatized me for a couple of years lol. Did you end up seeing the curandero? What did you think of Peru? I could imagine you there, especially enjoying the Peruvian cuisine. Did you have the ceviche? This and of course the Pisco Sours set a good tone for my trip from day one 🙂 While I am not a fan of spiders, it seems I’ve been around them my whole life: begging my parents to set up my bedroom in the basement when I was 6~7 years old to living in Czech now where spiders run wild in my place, they are now just part of the scenery… still, my heart rate probably shot up from 50 to over 200 when I saw the spider and more eerily her web inside my bed netting. I could see how this could traumatize you 😉 Cheers, Sofia, wishing you and Ms. E well. I love cheviche! And when I tried a pisco sour, and I mean A pisco sour, as in 1, one, when I finished it a random lady in the restaurant came up to me saying I looked red and drunk so I shouldn’t have any more pisco sours haha! I didn’t know spiders were usual in Czech, same as when I lived in England, they were all over the place! Wishing you a great Easter! Ha, ha ~ yes, I too had the same experience with the pisco sour. Reminds me very much of a margarita but much more potent 🙂 I want to return to Peru just for the cheviche and a pisco sour (or two…). Wishing you a great Easter as well, I will head off to Karlovy Vary for the long weekend. Cheers! Randall, it’s wonderful to see another beautiful and inspiring post from you. I think of you often. Thank you for allowing us to so vividly share in your adventures. Hi Ann, thank you for the incredible comment ~ and I too often think of you as one of my earliest friends with your work (and also at times like opening day of the 2019 baseball season when Seattle…well, let’s not talk about that right now…). 🙂 Wishing you a great spring, and thank you again. Thank you very much, Kev. Hope you have a great Easter weekend ahead. Living in Sydney I walk into spider webs every day in my garden; I am used to it but it’s NOT NICE. I like to think that they keep the mosquito numbers down. Your Amazon reminds me of The Sepik and The Fly in PNG where I spent a month exploring by boat. Unfortunately our rivers are drying up. Ha, yes I can very much agree with you here. Spiders do not bother me too much…but walking face-first into a web, not a worse feeling 🙂 The symbiotic relationship between river and land/jungle is amazing to witness, it must have been something to see the Sepik and Fly ~ especially being able to explore them for a month. Your photos bring this beautiful place to life. One day, perhaps, I’ll see it for myself. Until then, thank you for sharing your experience. Thank you, all the jungle is crawling with life – if you get the chance, you’d enjoy it very much. Thank you very much, Alois. Wonderful post, Randall! You brought me right there…to feel the pulse of life as it is meant to be felt. And to experience the glory of both big and small in nature through your exquisite pictures. Thank you for sharing this adventure…Peru is still waiting for me. Hi I just passed this beautiful blog on to my boyfriend who is writing a TV show that takes place in the Amazon. Hi Jayne, this is great, thank you. If there is anything additional needed just let me know. Wish you continued safe travels and happy trails ahead. Thanks, Randal! Your sister is correct…it is an adventure…one I LOVE TO TAKE! Your captures are stunning and the rhythm of your prose lulls me into a very satisfied place! Many sweet blessings to you! Thank you, Lorrie, very much. All of the activity of the Amazon does this ~ and it is impossible not to join in and follow the rhythm of the place. Cheers to a great Easter weekend ahead. I’ve a feeling you bring a little magic with you wherever you go 😉 Sweet blessings! Your forest scenes are my dream. Wonderful to see you throughly enjoying every bit of your time in Peru. It is a place that sweeps you up with all the activity and life in the jungle ~ miss it very much 🙂 Thank you!